Lovely collector's edition of Louisa May Alcott's classic "Little Women." Bound in full brown leather with gilt lettering and decoration. All page edges gilt; ribbon bookmark and silk endpapers. 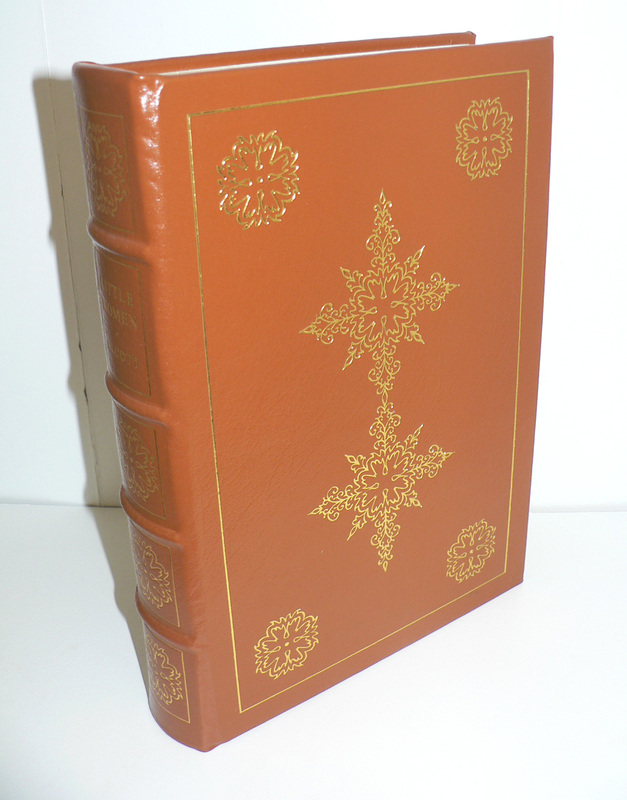 Part of the Easton Press' "100 Greatest Books Ever Written" series. Includes an introduction by Edward Weeks and illustrations by Henry C. Pitz. 429 pages; approx. 7"x9". Perfect shape. That title was one of the questions in last nights Jeopardy! Tourney of Champions rerun. Lovely book! I hope I win! Who can resist "Little Women?" Thanks for the giveaway. This is my first time trying to win one of your giveaway contests. I hope I win! I wrote a note in my paperback copy, 1968: "Laurie-- cute but wierd." Oh yes! Please enter me to win this book! Thank you! I've yet to win, but I just keep trying! Awesome book. You have such great give aways. Entering! Hope to gift it to my bibiophile mom! What a lovely edition of Little Women! I would love to win. This is one of my mother's most loved novels, and thus, one of mine. My copy of Little Women so needs to be replaced and this would be a lovely replacement. My copy was old and beat up when I got it 55 years ago - and I still read it. It's my go-to book when I'm sick abed. Wow! Once again a great giveaway! It's one of my favorite books! A very nice copy of a very nice book--thanks for offering it! Would love a chance to win. Thanks so much! Loved reading that book a whole lot of summers ago. Hoping to win this one. Count me in. The Boss has a Birthday today. Maybe I'll get lucky. Would so like this. Need to read this again through the eyes of an adult, rather than through the eyes of a child. Think it's one of those books that you can read and understand more as an adult. This is one of my favorite books!! I would love to win! Thank you!! So lovely...please count me in on the contest! Ooooo, I would love to win this! I'm in! Took my children to the play this year. Would love to read such a beautiful edition of the book with them. Little Women is my favorite childhood book! I read the book at least once a year (for some reason, always around Christmas). When the Susan Sarandon movie version came out, I was obsessed! Oh happy childhood memories!!! Oh, please please please pick me! It's one of my favorite books, and that's such a beautiful copy! Oooh, I'd love to win! One of my absolute favorite children's authors and books. A beautiful book! Lovely book ! It's one of my fav !!! Great giveaway ! One of the first books I read as a little girl and I loved it so much. Would love to read it again and know I will love it just as much now. My original copy is with my lovely daughter and she is 33 now. Beautiful prize. It looks gorgeous! Please pick me! Little Women was my favorite growing up. I checked it out so much at the library that my parents surprised me with a beautiful hardback copy. Now my daughter loves the book. I'd love to give her a beautiful copy to keep always! 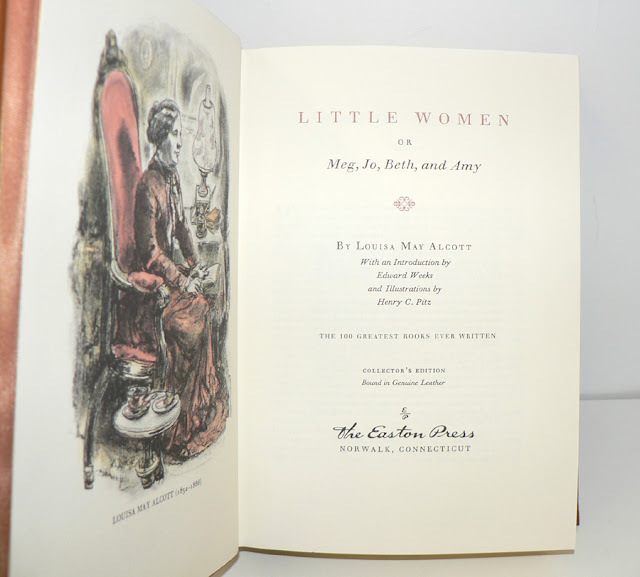 Would love to win this copy of Little Women! Serendipity? I am reading Little Women for the first time in 54 years of living. I was not raised on books or taken to a library....needless to say, I am behind on the classics. I am having a book discussion next Friday with my girlfriend and her 12 year old daughter. I am LOVING it! Much wisdom that continues to apply to life in 2012. Beautiful edition. Please enter my name. Thanks for the great web site. An absolute favorite of mine - I would treasure having this edition in my Louisa May Alcott collection! It would be the perfect companion to the work I did last year on Louisa May in Concord. It's a childhood favorite I would love to own. Thank you for offering it. Loved reading Little Women, Little Men, Jo's Boys. One of my absolute favorites! Hope I am not too late to enter, and that I win!!! One of my favorites as a child! Would love to own this beautiful copy! I've loved this book since forever! Still one of my favorite novels. Would love to read this again. My mother always tried to convince my male friends to read this, when I was a boy, with little success. But it's a good book, and it brings back memories. Count me in. Such a classic! Count me in! Would love to curl up in my Attic and pour over this classic again and again.